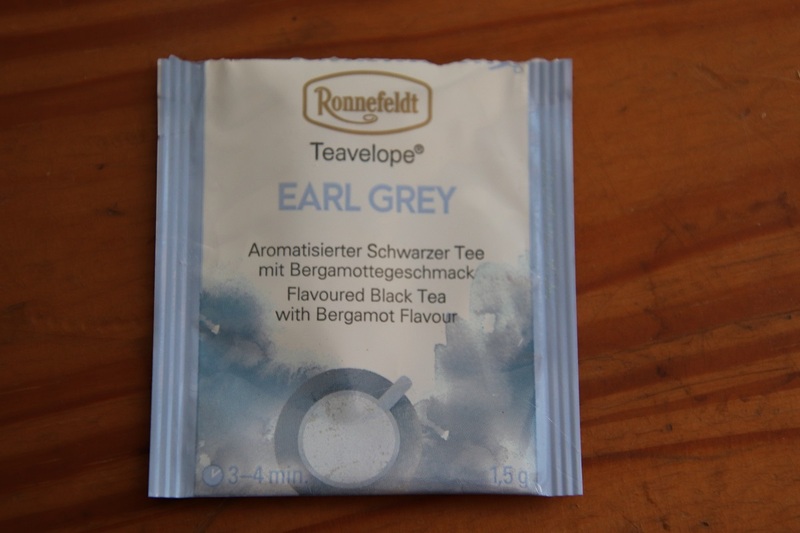 A couple of tea bags came to me as a gift – what a gift for this Ronnefeldt Earl Grey tea is delicious! 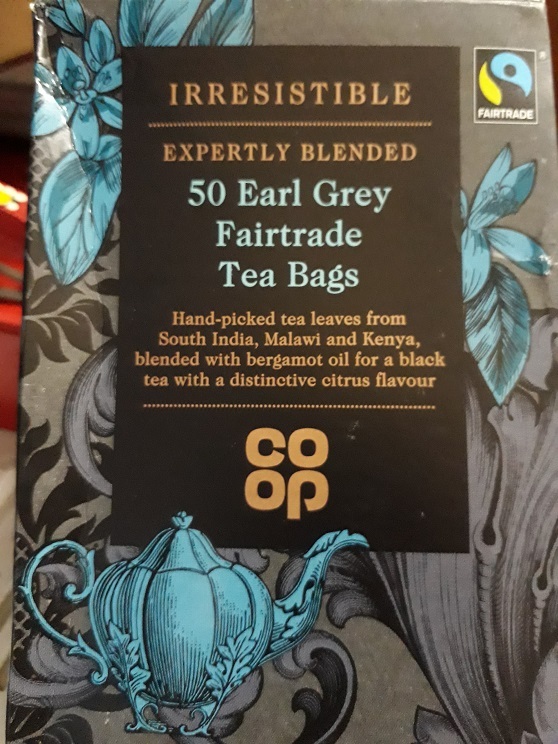 It is a new brand of tea to me which brews to a beautiful colour; is full-bodied; and just the ‘right’ amount of bergamot flavour comes through the black tea base. 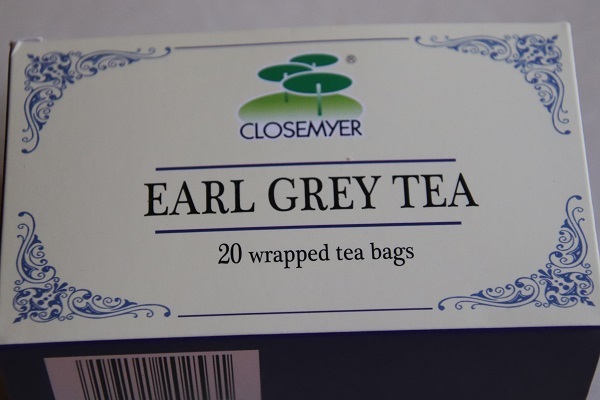 So taken with it am I that I looked it up online – very pricey at just over R7,00 per tea bag. Nonetheless, for special occasions or pure self-indulgence when a real pick-me-up is required, the flavour is probably worth it. What a dream! Why wait for the afternoon to enjoy this beautiful brightly coloured, smooth, flavoursome tea? 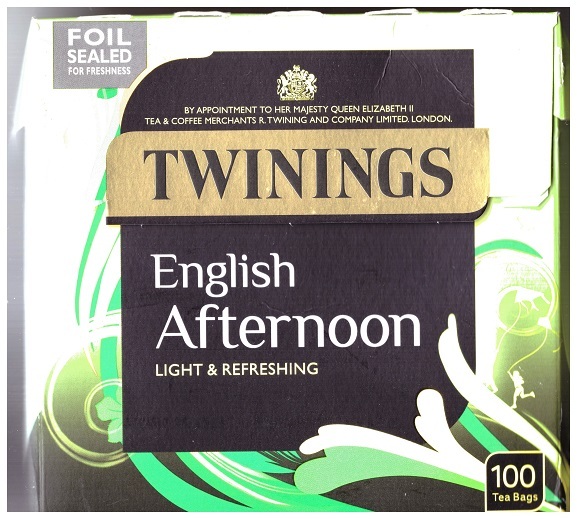 The 100 tea bags come in a gold foil pack – once opened I keep them in a tin. I scanned the box, so the colours do not show up as well as they might. As you can tell from the picture above, the design of the box is attractive in its own right: a mixture of black, yellow and different shades of green – all very summery, born out by the (should be yellow) kite fliers and the suggestion of waves, light breezes (and is that a green flower peeping out from behind the black box on the front). 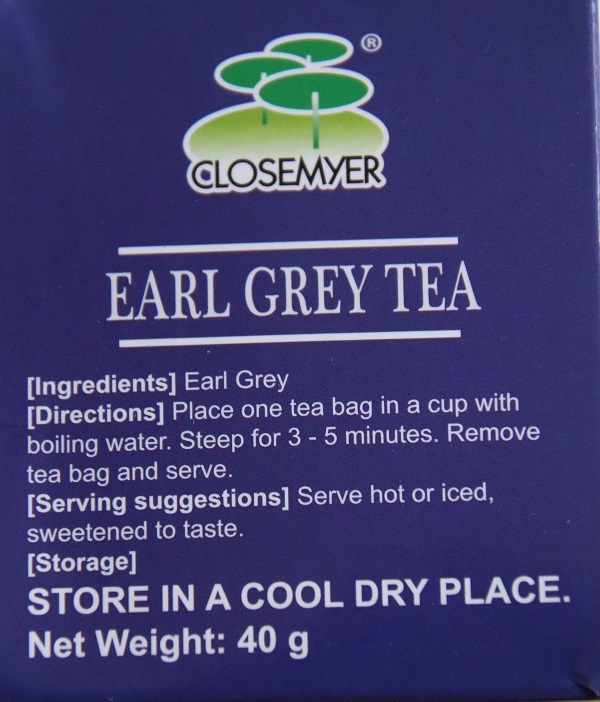 What I find interesting – apart from the refreshing flavour and the lightness of the tea that has one reaching out to pour a second cup, is the blurb on the back of the box: Master blenders use all their knowledge to choose just the right teas at just the right time. They select the best teas from Africa (they don’t mention from where exactly but, note this, they use only the brightest, freshest African leaves) and assure us tea drinkers that it is the bright freshness of the African leaves that makes this tea so refreshing. Other leaves are from Assam, obviously picked when they are at their best, and high-grown Ceylon, which originates in Sri Lanka. Forget about what is on the box and focus what is in the box – brew it for two or three minutes and enjoy your cup(s) of Twinings English Afternoon tea! 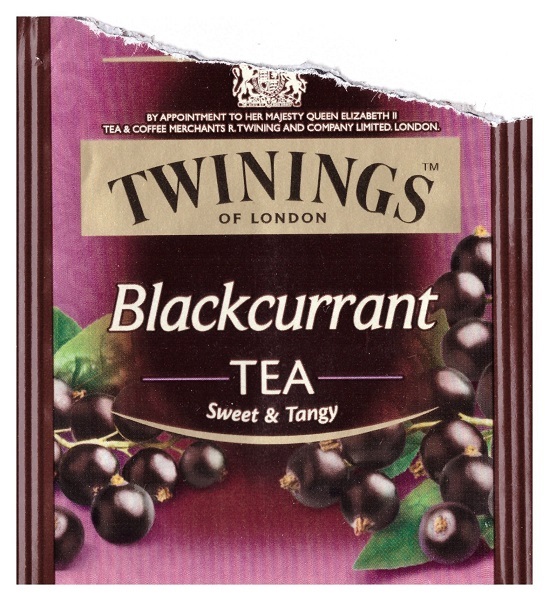 On a day such as today, with the temperature rising to 30°C and above while a strong, gusty and warm Berg Wind blows, Twinings Blackcurrant tea is the one to reach for. Its flavour is fulsome, rounded and rich. With or without milk, it is a refreshing drink that requires no accompaniment at all. 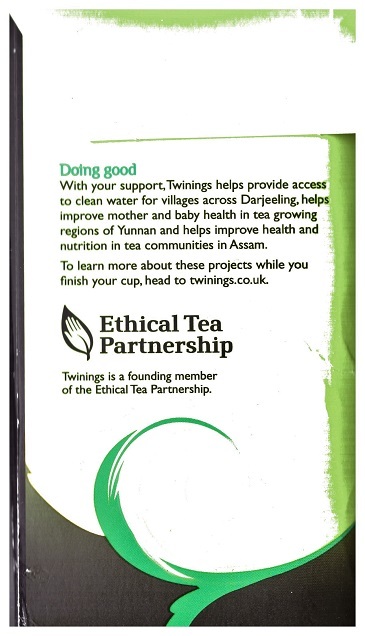 This very fine black tea has been expertly blended with the juicy flavour of blackcurrants to create a tea with a strong, fruity aroma and the characteristic sweet and tangy taste one would expect of such a fruit. 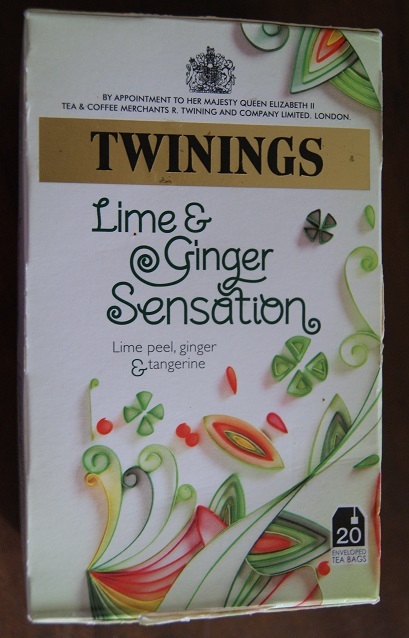 Today is cold, grey and damp so what better tea to reach for than this delicious, caffeine free Lime and Ginger Sensation by Twinings. As with so many teas in my collection, this was a gift from a dear friend. Do not add milk to this tea; steep it for about three minutes and allow the ginger to tingle on your tongue. Although the box boldly states the main ingredients as lime peel, ginger and tangerine, the small print includes the addition of rosehips, blackberry leaves, lemongrass, white hibiscus as well as lime flowers. Who would have thought so many ingredients would be required to create this zingy flavour! If you do not have this delicious tea at hand, a standby on a very chilly day would be root ginger infused in boiling water with a drop of lemon juice – or a slice if you prefer. 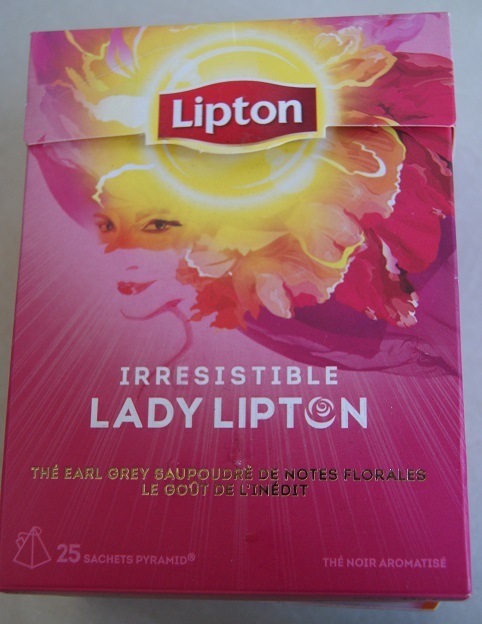 This is the turn of a gift from France: Irresistible Lady Lipton tea. The eye-catching hot pink box is intriguing and looks beautifully feminine. Open the box and the visual sensation continues. As does the reverse of the box. And the contents? Well this is Lady Grey tea under a different guise and so one would expect hints of bergamot and citrus flavours. I prefer to let it steep for up to three minutes to allow the stronger flavours to come through along with the deepening of the amber colour of the tea. The tea is touted as an ‘aromatic affair’: the aroma is good, yet I find that even steeping it for longer, the tea remains a bit ‘thin’ and on the weak side. 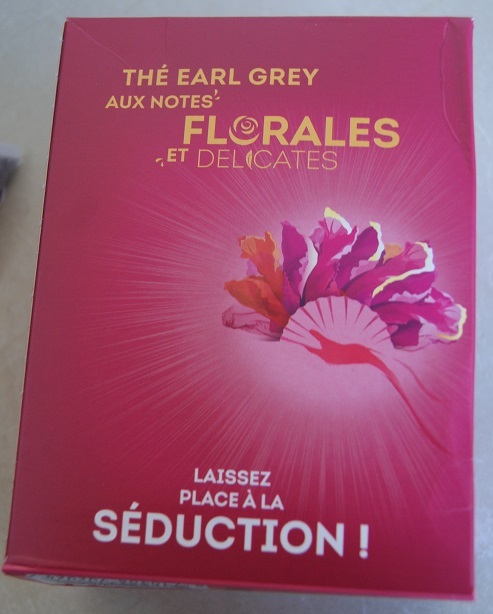 As sensuous as the box might be, and even the refreshing quality of the tea itself, I admit to preferring the more robust quality of Twinings Lady Grey. 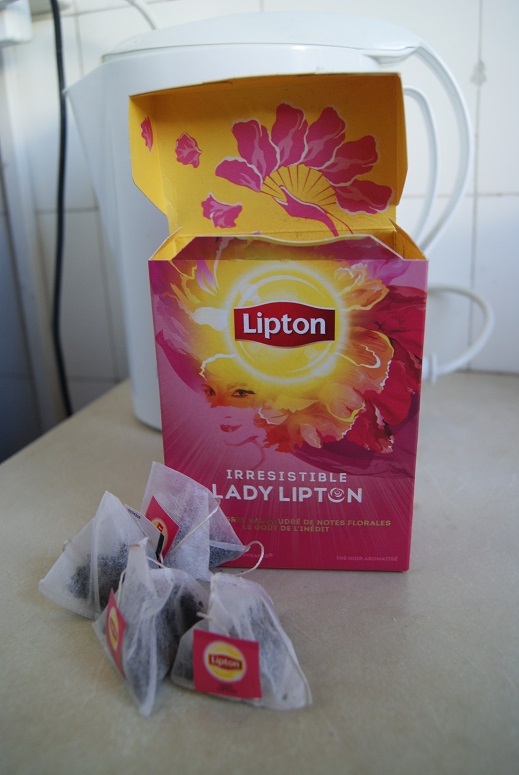 I may nonetheless use Irresistible Lady Lipton as the base for an iced tea – roll on summer!